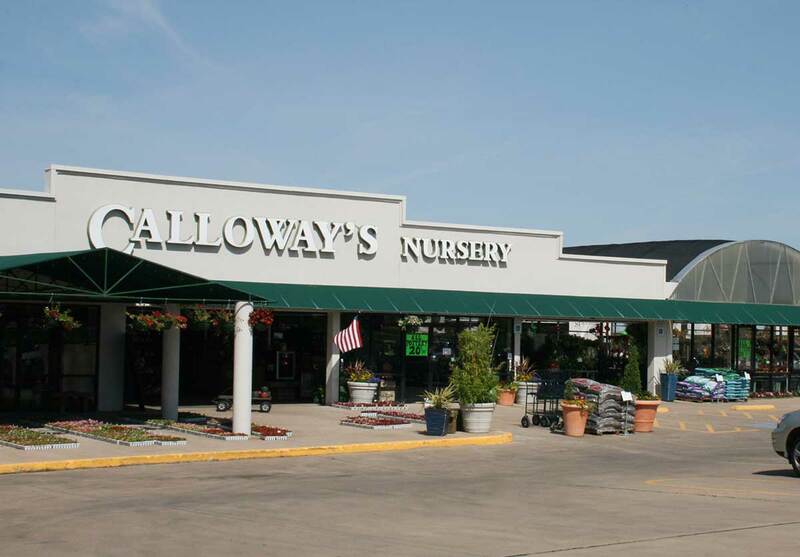 Calloway’s Nursery in South Arlington, just south of I-20 on S. Cooper St., is the place to find premium quality plants for your home and garden. Find your inspiration with our curated plant selection, chosen for superior performance in Texas gardens. We can’t list every plant we carry, but you can use our online catalog of plants to get detailed information on many plants we offer. You’ll also find decorative items like fountains and imported pottery, as well as seasonal decorating ‘must haves’ like gourds and pumpkins for fall, and poinsettias and fresh Christmas trees for the holidays. Don’t miss the Birding Department, with specialty bird seed, feeders, and houses. “These guys were great! We looked for Christmas tree disposal bags–to buy–at 3 other tree sellers. No go. When we happened by this Calloway, we stopped on a whim. They had tree bags FREE with the trees they sold. And both the cashier and manager offered us one at no charge along with a free bottle of tree feed. I know where I’m buying my tree next year!! !” - Carol D.
"Calloways had exactly the pot I needed for my new snake plant. The staff was very friendly and entertaining and the plant selection was wonderful. I would recommend this Calloways." - Ayianna F.
Matt is a Texas Master Certified Nursery Professional, the highest level of recognition awarded by the Texas Nursery and Landscape Association (TNLA). Lynn is the Assistant Manager for Calloway's Arlington South.